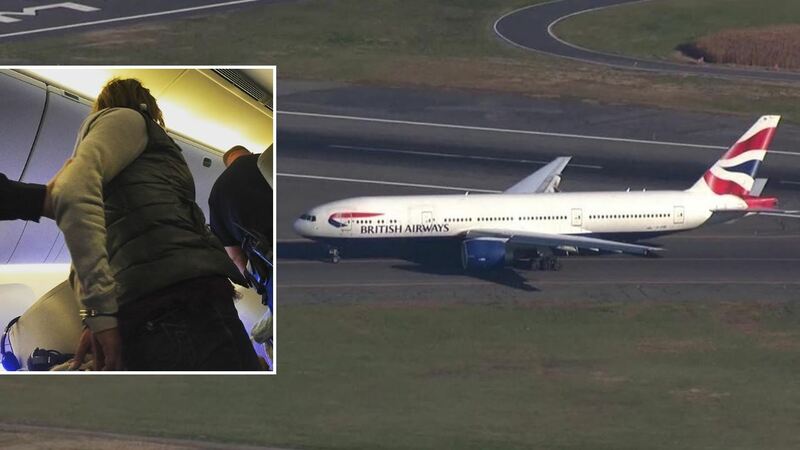 The passenger, who WCVB reports is a woman, has since been restrained and the cockpit is secure. Investigation ongoing by MSP and our federal law enforcement partners. Initial report indicate passenger is approx. 30 yr old. Investigation determines passenger was intoxicated, tried to open EXIT door, not cockpit door. No known nexus to terrorism at this time.